Background/Purpose: Few RCTs have investigated long-term (10+ years) outcomes of goal-directed synovitis suppression in early rheumatoid arthritis (RA). The CIMESTRA trial was a 2-year double-blinded Danish multicenter study on aggressive treatment with csDMARDS (methotrexate (MTX) versus MTX and cyclosporine) in combination with intra-articular glucocorticoids (1+2). Disease control after 2 years (yrs) was excellent with ≈50% in remission and halted radiographic progression in both groups. We here present 10+ year follow-up data. The aims were to 1) investigate the clinical and radiographic status and 2) identify baseline predictors of functional status and erosive progression. Methods: Of 160 patients (pts) included, 93 pts also had MRI of the wrist performed at baseline. 13 pts had died since baseline. All living pts were contacted and 120 signed informed consent to participate in a 10+ yrs’ follow-up visit assessing e.g. treatment, disease activity (DAS28, CRP, 4 variables), physical function (HAQ), X-ray of hands and feet. Baseline MRI was scored by OMERACT rheumatoid arthritis MRI scoring (RAMRIS) system, X-rays by Sharp-van der Heijde total Sharp Score (TSS). Descriptive statistics (medians (IQR) or percentages) were appliedMultivariable linear regression analyses of a panel of baseline variables (see foot note in table) with backward selection were performed with HAQ at 10+ yrs (HAQ10+) and radiographic progression since baseline (∆TSS0-10+) as dependent variables. Results: 120 of 160 pts (75%) completed the 10+ yrs visit. 74 pts with available baseline MRI and X-rays of both time points were included in the prediction models. Withdrawal analysis comparing the 160 pts with the 120 and 74 pts showed similar baseline characteristics for all comparisons of demographic and disease-related variables,all p> 0.20. Follow-up was after 11.5 yrs (10.7-12.2). Pts were 63 yrs (55-72) and 70% females. 20% received biologics (+/- csDMARD), 53% csDMARD alone. 27% were in drug free remission. DAS28 was 2.0 (1.5-2.6); pain score: 1 cm (0.3-3); pt. global: 1.1 cm (0.2-2.9); swollen joint count (28SJC): 0 (0-0); tender joint count (28TJC): 0(0-1). 76% of pts were in DAS28 remission; HAQ-score was 0.25 (0-0.75); ∆TSS0-10+(median (IQR)):5(0-14); ∆TSS0-10+(mean±SD): 11.2±17.1). The annual progression rate since baseline was median (IQR):0.4 (0-1.2); mean±SD:0.99±1.53. Multivariable linear regression analyses are shown in Table. Conclusion: 10+ years after diagnosis 75% were in DAS28 remission. HAQ-score was low, and mean radiographic progression was <1 TSS unit/year. High DAS28 and positive anti-CCP at baseline were independent predictors of poorer functional status. Baseline MRI bone marrow edema and anti-CCP positivity were independent predictors of radiographic progression . References: 1. Arthritis Rheum 2006; 54: 1401-9. 2. Ann Rheum Dis 2008; 67: 815-22. Table.Predictors of functional status and radiographic progression, final models. *:Initial baseline variables in the HAQ10+ (§) and ∆TSS0-10+(#)multivariable linear models before backward selection were: Total Sharp-van der Heijde-Score (TSS)§ #; Health Assessment Questionnaire score§; Disease Activity Score (28-joint count, 4 variables)§ #; age§ #; anti CCP§ #; gender§ #; MRI erosion score§ #; MRI synovitis score§ #; MRI bone marrow edema§ #. CI, confidence interval; CCP, cyclic citrullinated peptide (dichotomized value); MRI, magnetic resonance imaging. Disclosure: M. Lund Hetland, AbbVie, BMS, MSD, Roche, Pfizer, UCB, Crescendo, 2; K. Stengaard-Pedersen, None; P. Junker, None; H. Lindegaard, None; T. Ellingsen, None; J. Pødenphant, None; H. Skjødt, None; A. Vestergaard, None; B. J. Ejbjerg, None; S. Jacobsen, None; N. S. Krogh, None; M. Ostergaard, Abbvie, BMS, Boehringer-Ingelheim, Eli Lilly, Janssen, Merck, Pfizer, Roche, UCB, Celgene, Sanofi, Regeneron, Novartis, 2; K. Hørslev-Petersen, None. Lund Hetland M, Stengaard-Pedersen K, Junker P, Lindegaard H, Ellingsen T, Pødenphant J, Skjødt H, Vestergaard A, Ejbjerg BJ, Jacobsen S, Krogh NS, Ostergaard M, Hørslev-Petersen K. 10+ Years’ Follow-up of a Danish 2-Year Treat-to-Target RCT in Patients with Early Rheumatoid Arthritis: Baseline Predictors of Functional and Radiographic Outcomes [abstract]. Arthritis Rheumatol. 2016; 68 (suppl 10). 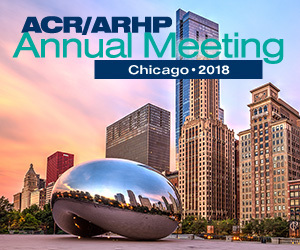 https://acrabstracts.org/abstract/10-years-follow-up-of-a-danish-2-year-treat-to-target-rct-in-patients-with-early-rheumatoid-arthritis-baseline-predictors-of-functional-and-radiographic-outcomes/. Accessed April 18, 2019.